It's berry season! Many islanders enjoy spending time in the woods gathering wild blueberries, blackberries, or wineberries during July. 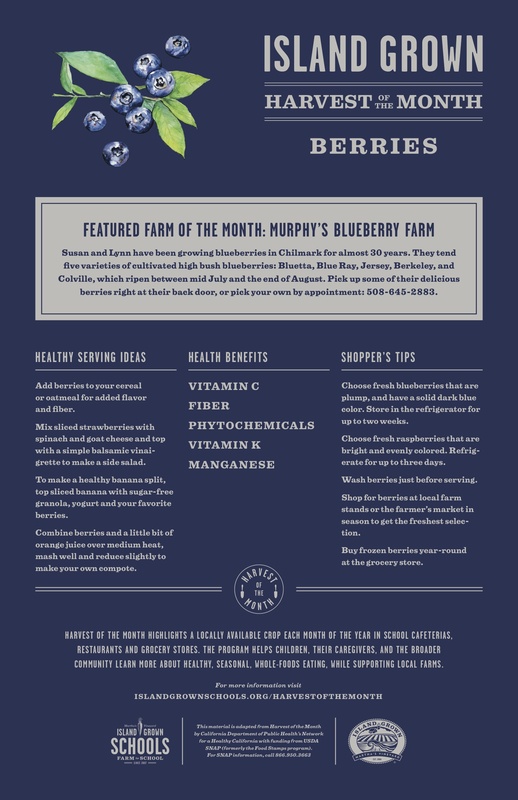 If you’d like to pick some berries without the wild pricks, head over to Murphy Blueberry Farm or Mermaid Farm for pick-your-own blueberries or raspberries, respectively. North Tabor Farm also grows blueberries – but be warned, they sell out fast at the farmer’s market. When berries go past their prime, put them in a ziplock bag and store in the freezer for a future smoothie. Or puree fresh berries with orange juice, pour into popsicle molds, and freeze. 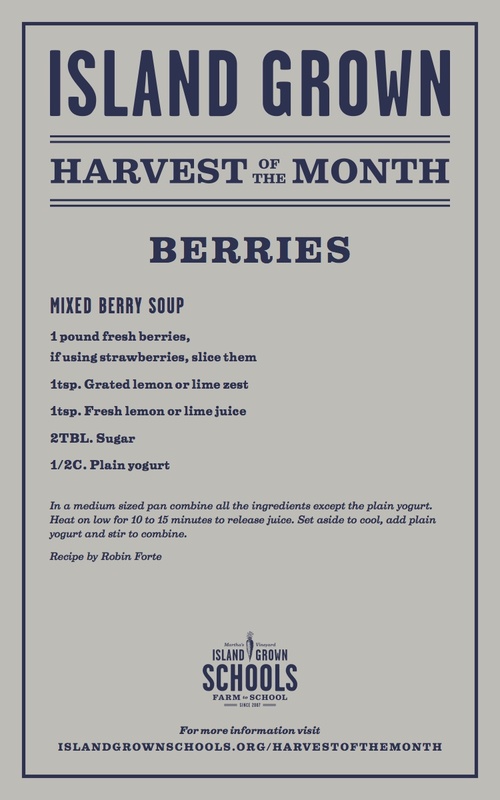 Check out other serving suggestions in this month’s information poster, or try this unique berry soup recipe.